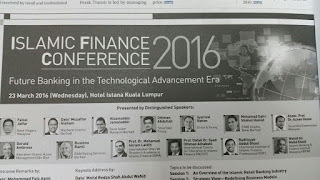 I was invited to speak on Fintech during Islamic Finance Conference 2016 jointly organized by Islamic Banking and Finance Institute Malaysia (IBFIM) and Malaysian Institute of Accountants (MIA). 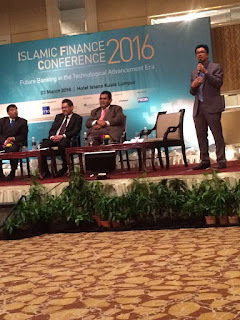 The conference was held at Istana Hotel, Kuala Lumpur on 23rd March 2016. 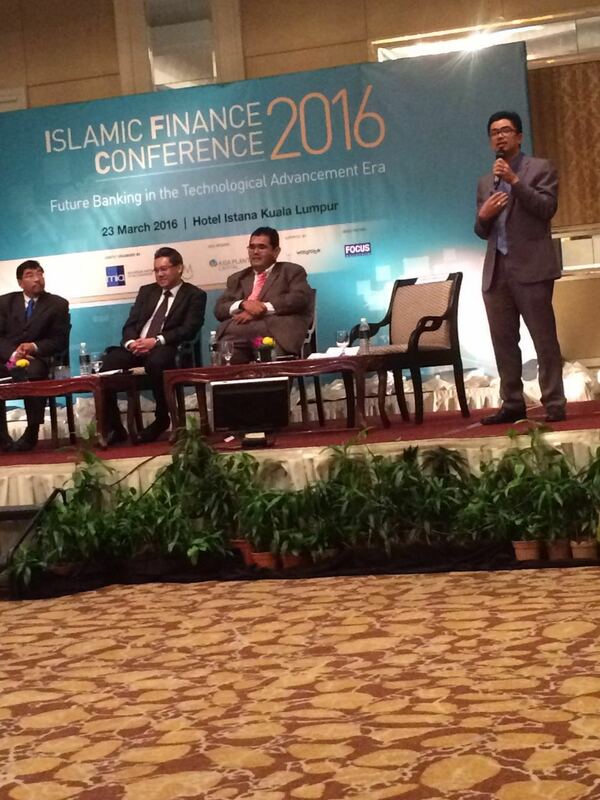 1.For Fintech entrepreneur wannabe, it is a huge untapped industry. Consider beyond P2P and crowdfunding. 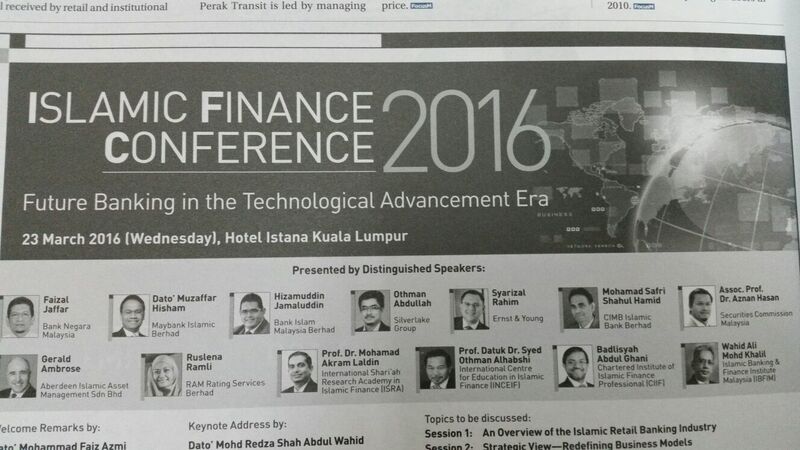 Other speakers were as depicted in the picture below.